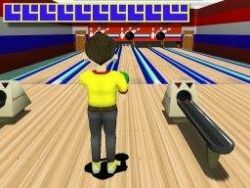 If you are a fan of sport management games, then you just might like this game. It’s not as in depth as commercial ones but still might entertain you. You must manage your Handball team. You control substitutions, timeouts and other things like that. This game is entirely text based. Finally something other than football! Great game with simple commands. I wish that players' details weren't as diverse. I still haven't finished my first season but I will (and many more) and I can only hope that it isn't impossible to win with a smaller club. It's not a bad game, however if you want to play real manager-type game, then download Eastside Hockey Manager. Well this game was good, good but it needs better graphics.